Carl von Schubert brought a stunning Kabinett to the first Trier Auction of his Estate in almost a century. 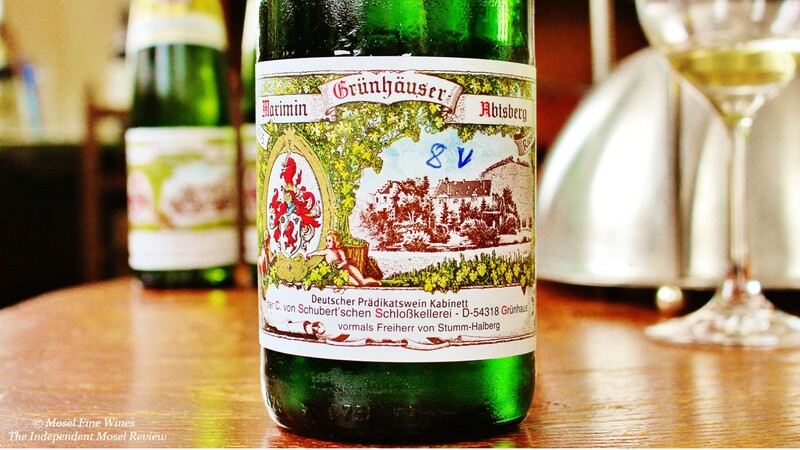 The Grosser Ring / VDP Mosel has been holding an annual Auction almost every year since 1909 at which its members sell some of their finest wines, usually from the latest vintage. The 2016 edition saw essentially the sale of top end wines from the great 2015 vintage. Overall, prices at this Auction were on the high side and offered few real bargains. On the contrary, as was to be expected from our high praise for these gems (see our Special Issue – Auction Guide 2016), some wines were in particular demand and prices shot through the roof. We will provide with a detailed account in our upcoming October Issue. One highlight of this year’s VDP Mosel Auction was the stunning 2015 Auction Kabinett by Weingut von Schubert. While not cheap (it sold for €41* per bottle), it still proved a comparative bargain given its impeccable quality. The Weingut von Schubert rejoined the Grosser Ring / VDP Mosel earlier this year. 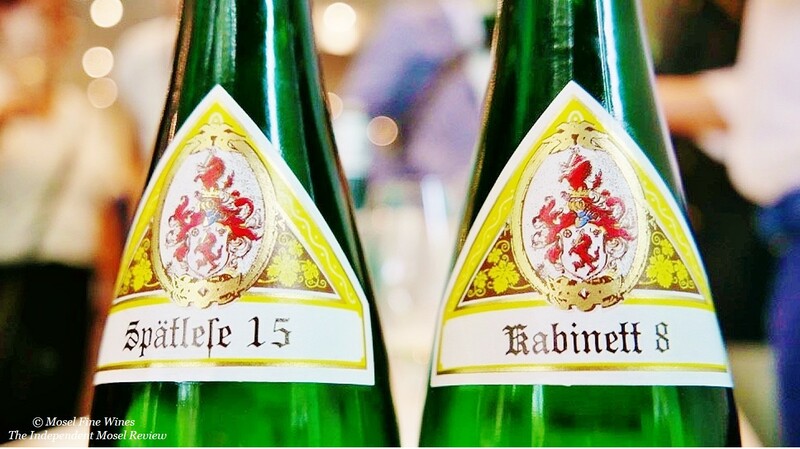 For his first Auction, Carl von Schubert brought a special lot of 2015er Kabinett and 2015er Spätlese from his successful 2015 vintage (see Mosel Fine Wines Issue No 31 – June 2016 for a detailed review). He thereby followed the welcoming trend, followed among others by Weingut von Othegraven and Weingut Peter Lauer, to craft and sell particularly fine lots of Kabinett and Spätlese at the Auction, a stylistic direction in which the Mosel also excels. This practice of bottling separately Kabinett or Spätlese from particularly good casks is not something new at the Maximin Grünhaus Estate. Over the past decades, when a cask was “too good to be blended away”, Carl von Schubert did not shy away from bottling it separately and commercializing it under a different AP Number. This included for instance the superb 2007er Maximiner Grünhäuser Herrenberg Kabinett AP 30, which was one of our first wines of the month back in 2009. In order to differentiate the 2015 auction wines from the Kabinett and Spätlese which the Estate sells via regular commercial channels, Carl von Schubert decided to add a “Cask Number” on the neck label of the Auction bottlings and hence not to only rely on the auction sticker and a different AP Number. So far, this practice of adding cask numbers had been essentially used to indicate a bottling of particular quality of Auslese, BA or Eiswein. Carl feels that this principle is also apt for his special casks of Kabinett and Spätlese which he offers at Auction. The 2015er Kabinett has the Nr. 8 and the 2015er Spätlese the Nr. 15. The Maximin Grünhäuser Kabinett Nr. 8 is an absolutely stunning wine. While slightly richer than your usual Kabinett, it proves superbly well balanced and shows all the tell-tale signs of evolving like the great ethereally light Auslese crafted by this Estate in the 1990s which are now legendary among Riesling lovers. Anyone having successfully bid on these gems will be in for quite some Riesling fun in a decade or two! A full report on the Grosser Ring / VDP Mosel Auction 2016 as well as many other recommended 2015 wines, among which the 2015 GGs by Weingut von Schubert, will be included in the upcoming Mosel Fine Wines Issue No 32 to be released in October. You are a subscriber and miss this Issue? Simply send us a request by email and we will be happy to send you a copy. You are not yet a subscriber and wish to get this Issue? Subscribe free of charge by registering yourself here below and ask us for a copy by email. * Prices indicated in this article are Hammer prices, i.e. before broker commission, sales tax and possible customs and shipping costs.